The black and white artworks are available from the series in the image below. 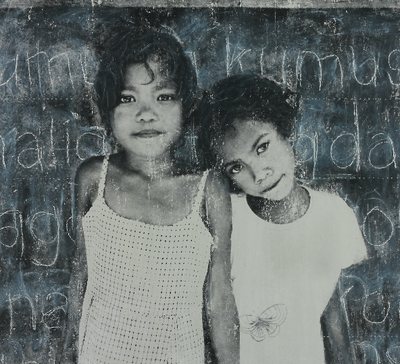 They are $2000 each and all money goes to funding water projects in the Philippines for the Aeta Tribe Foundation. They are ink on canvas.